C o l o r f u l ! 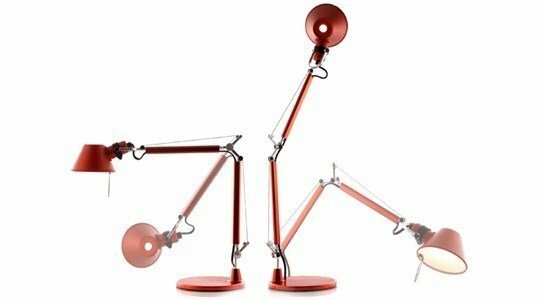 Tolomeo Micro is the smallest and colourful lamp of the entire Tolomeo lamp family. The designers duo reached a design that became a brand in the product design universe, and would come to mould the design trends for decades. Inspiring light, colours and designs! The lamp is made out of opaque laquered aluminum; the joints and the structure are made of polished aluminum with a spring system that counter-balances the entire lamp. 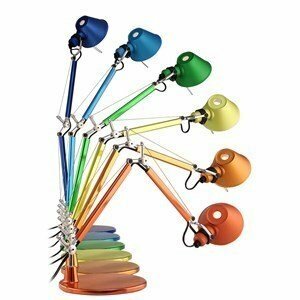 The adjustable lampshade enables the adjustment of the position and following light focus of the lamp. Nowadays, Tolomeo Micro is still a fantastic and modern lamp, and can be found in several architecture and creative agencies offices.